For more than a decade, Missy "Misdemeanor" Elliott was one of the leading ladies of hip-hop. But in the last three years, Elliott, 39, had been absent from the spotlight. The reason, she explains, has been her private battle with Graves' disease, an autoimmune illness that affects the thyroid. "You live with it for the rest of your life," the Grammy winner told PEOPLE in its latest issue. The disease -- which Elliott was diagnosed with in 2008 -- first began affecting her motor skills, followed by a string of symptoms: dizzy spells, lumps in her throat, mood swings, hair loss, a fast heart rate and bulging eyes. But after undergoing radiation combined with medication, she's back and feeling better. "I'm 30 lbs. lighter because I've been exercising," says Elliott, the subject of VH1's Behind the Music premiering June 29. "My thyroid is functioning, so I haven't had to take medication in about nine months." 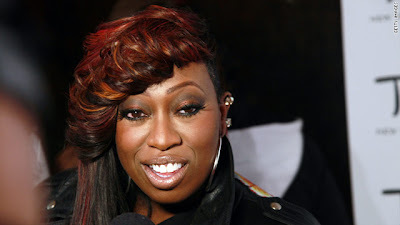 For more on Missy Elliott's battle with Graves' disease, pick up this week's issue of PEOPLE, on newsstands Friday.